Yes, it’s True! 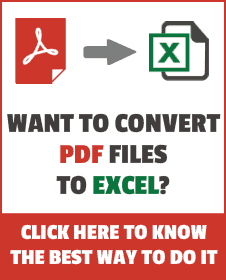 You can send email from Excel by using the HYPERLINK function. In this blog post, I will show you various ways to use HYPERLINK function to send email from Excel. There is also a bonus Email Generator Excel Template available for download at the end of this post. link_location: This is a mandatory argument where you give the link of a cell, worksheet, workbook, or an external URL. friendly_name: This is optional, and displays the text which is hyperlinked to the specified location. Coming back to how to send email from excel, you can use the fact that hyperlink can handle “mailto” URL property and can be used to make a hyperlink that would automatically construct the email. Here is how you can construct a formula to create various components of the email. This would open the email client with the email id abc@trumpexcel.com in the ‘To’ field. For sending the email to multiple recipients, use comma to separate email ids. This would open the email client with all the email ids in the ‘To’ field. To add recipients to CC and BCC list, use question mark ‘?’ when ‘mailto’ argument ends, and join CC and BCC with ‘&’. Now when you click on the link in excel, it would have the first 2 ids in ‘To’ field, 123@trumpexcel.com in ‘CC’ field and 456@trumpexcel.com in the ‘BCC’ field. You can add a subject line by using the &Subject code. In this case, this would add ‘Excel is Awesome’ in the ‘Subject’ field. This would add a single line ‘I love Excel’ to the email message body. To add multiple lines in the body you need to separate each line with %0A. If you wish to introduce 2 line breaks, add %0A twice, and so on. Now that you know how to send email from Excel, it is not rocket science to create a simple tool that can generate an email with a single click. I have created a template where you need not worry about memorizing the syntax. Just type the email ids, subject line and message, and this will automatically do it for you. Note: This works only when you have a default email client set in your system (such as Outlook, Lotus Notes, Gmail) . If the email client is not set, this may not work. Fantastic! but is it possible attached file? Can we select From Address using this formula?? I am handling 3 email accounts, so I require to select From Address manually. Please revert. how to add an attachment if path is already copy in any cell? Is it possible to edit the cells which are currently hidden? If Cc & Bcc are left empty they currently generate an error in the Cc field of the message and I would like to try and fix this for my application. I am trying to create a hyperlink or formula that will generate an email but also include the file I am in as an attachment. Please help me. That was a good info..
Can we insert a picture .jpg in the body instead “&body=text” or any cell reference &G3″. insert a picture from a location in the pc. Hi sumit, great work. Is there a way to attach the files in this. Thanks for the prompt reply sumit. Hi mate, great site. Just quick one. When I input body text into the hyperlink, it removes my signature from the email. Any ideas on how i can fix this? I wonder if I can send same text otherthan then attention (Name & Designation of the recipient) to multiple email IDs through gmail/yahoo/hotmail with a single click? Hi Asif.. This works with your default email client, which could be only one of these. I’m trying to actually DO the send email via a hyperlink, not just to “generate” the email. Is that possible? Hi Roger.. It can create the email, but it can not send it automatically. The send button needs to be pressed manually. Char(10) here would work as Alt + Enter. In the similar fashion, you can create for multiple items. Can you please help me as I want to add multiple email address then what else need to be done because it is showing error as I do not add more then 2 or 4 email address. Buy the way, I love these templates! finding this really helpful, but I am suffering the same problem with multiple emails via hyperlink. Have you managed to find a workaround for this? Thanks.. Glad you liked it!